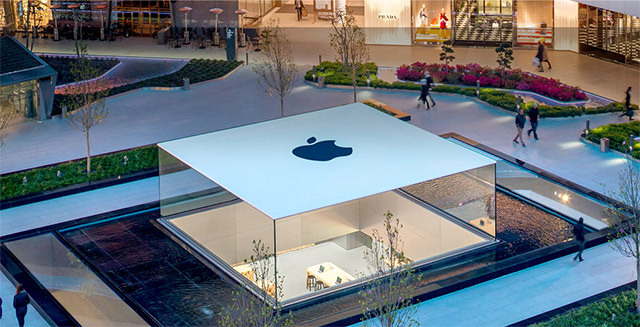 Cupertino-based technology giant Apple Inc has elevated sales director Sanjay Kaul to the post of country manager. Apple India has been without a country head for nearly four months after it saw two top level exits earlier this year. Although there has been no official communication from the company, Kaul's LinkedIn profile has been updated with the new designation. Apple didn't respond to a VCCircle email seeking confirmation. Kaul joined Apple in November 2011 as head of the iPhone business in India. His last designation at Apple, before being made country manager, was director - telecom. Prior to joining Apple, he served Canadian handset manufacturer BlackBerry where he headed the firm's channel sales division. Apple India's previous country head Maneesh Dhir had resigned in January this year to pursue other opportunities. In January, Apple India enterprise head Sharad Mehrotra also quit to start his own smartphone company Hyve Mobility. Kaul's appointment comes at a time when Apple is aggressively looking to expand in the country. Last month, Apple CEO Tim Cook said the company is placing higher emphasis on emerging markets such as India where it expects "disproportionate growth" versus the more developed areas. "India is where China was maybe 10 years ago from that point of view, and I think there's a really great opportunity there," he had said. Apple is currently battling for a major chunk of the smartphone market share in India and is giving tough competition to arch rival Samsung in the premium segment. In Q1 2016, Apple witnessed 56% increase in shipments in India with the number of total iPhone shipments in the country reaching 74.8 million. For devices priced over Rs 20,000, Samsung's market share fell from 66% in Q1 2015 to 41% in Q1 2016, while Apple grew its market share from 11% to 29%. "Apple is outperforming the overall market in India, and still has great growth potential," Wilmer Ang, analyst, Canalys Mobility, had said at that time, in its report. Successive price cuts to the iPhone 5s has made it the most popular Apple device on the market, despite its smaller screen and outdated hardware. Moreover, in a bid to increase its marketshare and gain a strong foothold in the country, Apple, in January, sought the Indian government's approval for selling refurbished iPhones. But, the Indian government has reportedly turned down Apple's request, according to a Bloomberg report. A similar proposal by Apple last year was turned down by the environment ministry's technical review committee on grounds that it would add to India's e-waste. According to The Economic Times, as per documents filed with the Registrar of Companies (RoC) in November, Apple posted a 44% increase in sales at Rs 6,472.89 crore (about $1 billion) in FY15 and net profit doubling to Rs 242.85 crore as the company stepped up its push into India through an expanded retail network, promotional financing schemes, and discounts.